Photo Credits: Linda Delez, Patrice Harkins, & a random nice lady who used my phone for the group photo. What a wonderful morning shared with 18 human walkers plus 2 dogs! I enjoyed strolling around the Caltech campus with everyone. I worked there for many years and it was a pleasure to be able to see the campus through the eyes of people who are not quite so used to the pretty place I used to work. We admired the architecture and landscaping, smelled the flowers (SO many flowers! ), said hello to the turtles, and got to know each other. We had quite a few new walkers this week, was so great to meet you all! Community tours are given on the fourth Thursday of each month at 10:30 a.m., beginning at the entrance to the Athenaeum at 551 South Hill Avenue. Tours last from 1½ to 2 hours and are open to all members of the Caltech community and visitors to the campus. Thank you for walking with me!! About 1.5 miles. 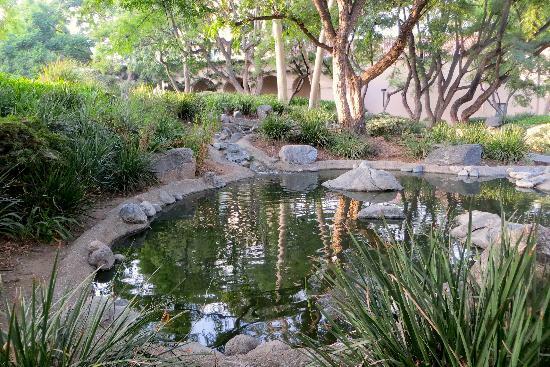 We will walk at an easy pace and take in the beauty of Caltech’s architecture and landscaping. Suitable for everyone – especially those just starting out in walking for fitness.